News at Spencer Public Library: A Ghost of a Program! A Ghost of a Program! 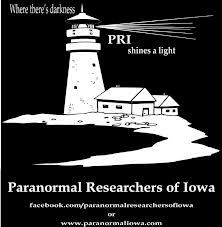 Where's there's darkness...Paranormal Researchers of Iowa shines a light. On September 19th @ 7:00 PM,Spencer Public Library will present Denise Mendenhall, lead investigator and founder of Paranormal Researcher of Iowa. Join us for a ghost of a program! What are you afraid of?